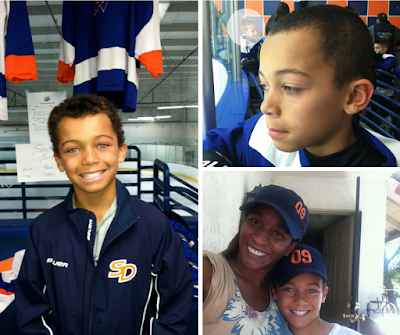 Our son's sports journey started when he was six. He "played" T-ball for a season and then moved on to martial arts. We thought he was on his way to becoming a black belt, but he stopped after earning his yellow. 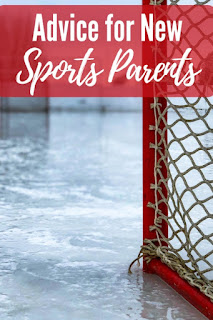 I didn't play sports (I did cheer and dance for awhile) but my husband did and I'd watched my younger brother play so I know the value of participating in an organized sport. It was something we hoped Tyler would embrace but we didn't push it too hard. Then, when he was eight, he told us he wanted to play hockey like his friend from school. 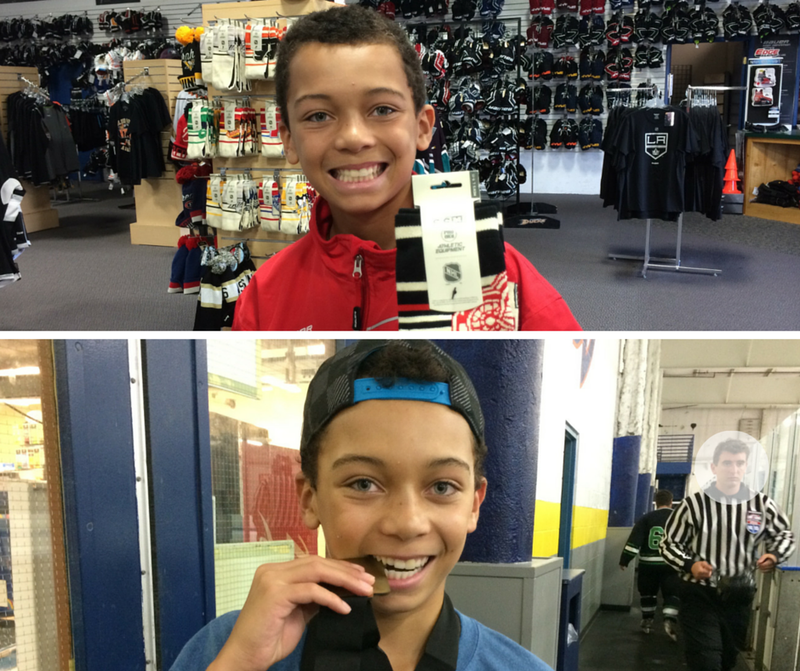 Since he'd never been on ice skates, we didn't think he was serious. But he kept asking so we looked into in. The hockey community in Southern California, is MUCH bigger than we realized. To see if Tyler was really committed, we made him go through two rounds of skating lessons. We thought he'd get tired of being out there with the figure skaters and give up. We were wrong. After skating lessons he'd ask, "how much longer until I can be a hockey player?" We enrolled him in the rec league thinking that he'd get bored at practice, just like he did for T-ball. But he didn't. He played his first season and didn't complain about practice being too hard or boring. In the middle of his second rec season, he started to notice the travel players. 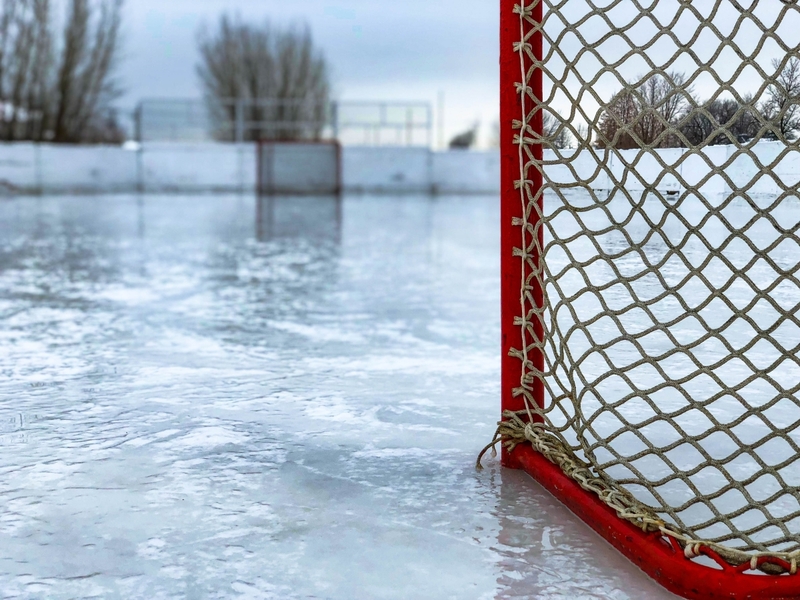 He saw their nice uniforms, matching track suits, coordinated hockey bags with their names and jersey numbers and heard stories about traveling to different cities to play. "When can I try out for one those teams?" We had no idea what we were getting ourselves into jumping from the rec league to Club, but Tyler was still really into the sport and, more importantly, he was working hard to earn his spot on the team. Tyler was so proud to put on his travel team uniform for the first time! He was 10 when we let him try out and has been playing travel ever since. Fast forward to present day and within the next few weeks Tyler and his team will be playing in both the So Cal finals and the state finals! We are incredibly proud of what he and his team accomplished this year. Though we've had our ups and downs over the years, we're impressed with Tyler's passion for the game and how he's grown and matured both as a person and a player. We're pretty fortunate to have several rinks close to our home. That means we have been able to attend at least 80% of practices and 95% of Tyler's games. Even when I have to bring work with me to practice, Tyler can see that I'm there. We videotape some games to upload privately to YouTube so family and friends can watch. We've Skyped people in for games and used FaceTime too. I have a team sweatshirt with his name and first jersey number and a matching hat. I've worn his jersey to games, and he tells me my voice carries in the rink and he hears me cheering for the team. We do everything we can to be supportive, but we're not "everyone gets a trophy" parents. Tyler has been really good about coming to us for advice and critique. He'll ask us, "what did I do well today and what can I do better?" We do our best to offer constructive advice and stick the the 'scold in private, praise in public' rule. Yes, it's the coach's job to bring out the best performance in their players, but coaches don't always have the time to really get to know each of the players and their personalities. We know our son best. That's why we have no problem telling him something like we could see the moment when he let the other team get into his head, or that he had a bad shift in a particular period. Building your athlete's confidence is important, especially in high contact sports. But telling your young athlete how awesome they are with no balanced feedback doesn't do them any good. We've seen players who were fawned over at lower levels of play become totally disillusioned with the sport when they got to higher levels and are no longer the top scorer, batter, etc. etc. There will always be another player who is better than yours, but there's a role for everyone on a team. 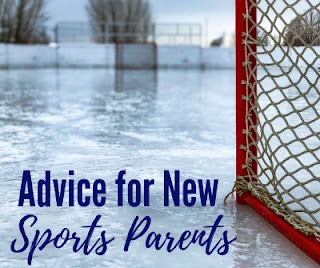 How your athlete responds to not being the "best" is something parents can reinforce: they can either let it defeat them, or motivate them to work harder. Tyler is so fortunate to have extremely generous grandparents. They have been a huge help in allowing us to make sure Tyler's equipment is always properly fitting and high in safety ratings. When the budget allows we've done private lessons and clinics. We've done summer camps. Over the years we've accumulated piles of street sticks, street pucks, rollerblades, nets to shoot on, water bottles and miles of stick tape. I keep grab and go snacks on hand, his favorite Powerade flavors, and we bought a mini cooler and Thermos to pack food when we know he'll be practicing or playing for hours. We've put as many tools in his toolbox as we can, it's up to him how he uses them. He needs to go out into the street to practice his shot and work on stick handling. He needs to treat practice seriously. He needs to give his best effort at each game. He needs to keep his grades up and be a good citizen of our home (chores, etc.) 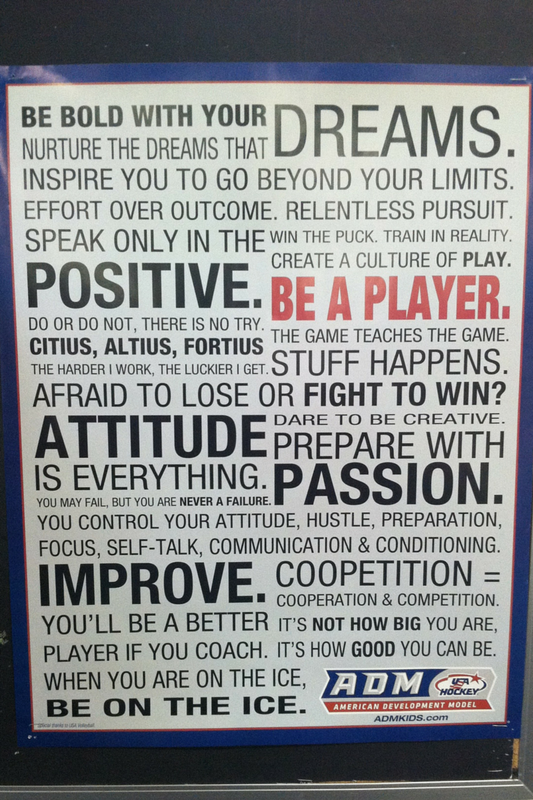 to earn the privilege of being on the team. Over the years we've probably used every perseverance cliche in the book: work smarter not harder, anything worth doing is worth doing well, we make time for the things that are important to us, set SMART goals, respect and positivity open doors, sometimes it's okay to not be the leader; but you still have to give it your best, it's called 'work' for a reason, and on and on. 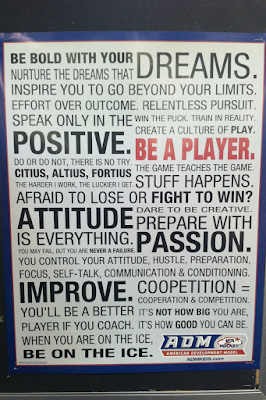 We've made a conscious effort to make a connection between sports and a larger life lesson whenever we can. In the past few years we've watched Tyler outgrow a bit of his shyness. He's been in situations where he's had to stick up for himself or a teammate, he's learned to advocate for himself by going to his coach to ask what he needs to do to earn more ice time. Whenever I talk with my brother about his time in youth sports, he says it's life lessons that were his biggest takeaway. We really hope it's the same for Tyler. Being a sports family can be a great experience. We really treasure the time we've had together and the memories we've created. Because of hockey we've been on mini vacations to San Jose, Arizona and Lake Tahoe. Our extended family and friends come out to watch him play. We've received discounted tickets for NHL games. We've been a billet family for two amazing young men from Sweden. Tyler has made some really strong friendships with his teammates and we have other families we can now claim as part of our "village." Do you have young athletes in the family? 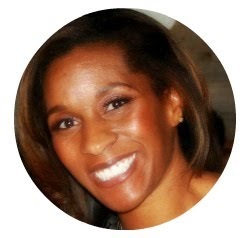 What tactics have worked best for you in keeping them motivated and inspired? POWERADE believes that with the right motivation these everyday athletes can realize their potential and one day be just like the athletes they look up to. Sports have a major impact on our communities. Whether it is t-ball or the pros, every athlete in every league has a story waiting to be told. 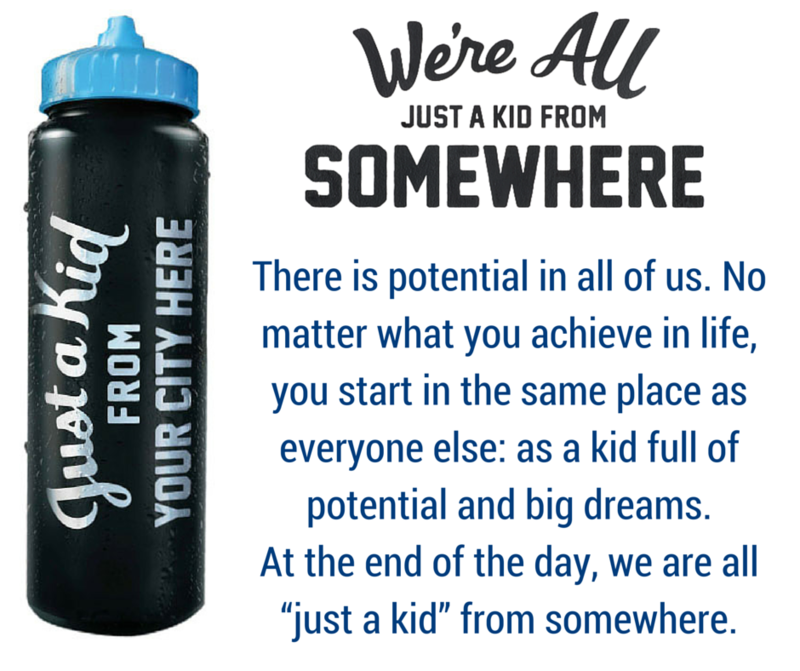 Your young athlete can represent their somewhere with custom "Just a Kid" apparel that features where they're from purchased here. All net proceeds from the sale of "Just a Kid" apparel goes to the Boys & Girls Club of America. 2. 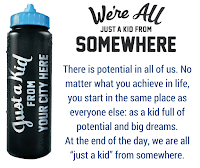 Go online, submit your receipt, and order a free custom “Just a Kid” reusable sports bottle. 3. Visit http://www.us.powerade.com/walmart/#pov2 to learn more. The offer is good until April 4, 2016 or while supplies last. Special thanks to the post sponsors @SheSpeaksUp, @POWERADE and @Walmart.